Social Media tools, trends and algorithms come and go, but federal managers continue to see improvements in their digital engagement initiatives when they put citizens at the center of their programs. It’s common to hear that government social media lags behind the private sector especially when held to standards that don’t consider government’s unique needs and goals. Yet, even as marketers call for exit strategies from some platforms, many of our agencies see an increase in their performance even without paid promotions because of effective engagement strategies. Social media for government is rightfully different from social media for the private sector and amid changing technologies we must better understand these differences in order for agencies, companies and citizens to share in the full opportunities and benefits. Federal agencies are less concerned with increasing likeability than increasing effectiveness of their programs — citizens like a government that works when they need it, but generally aren’t interested in fandom. The “targeting of influencers” is restricted by the Privacy Act of 1974 in order to protect personally identifiable information, and agencies can only use free tools that adopt a legal Terms of Service for public use — a process that can take days or months depending on the platform provider. Also, while private sector social media managers can allocate funds for promotional posts, many government agencies cannot — and if they are focusing on the right performance metrics and mission goals they shouldn’t need to. While federal programs like recruitment and awareness campaigns traditionally rely upon and benefit from promotional campaigns, citizens may not expect agencies to advertise in order for them to find official information on student loans or health care. Citizen expectations of access to services is particularly of concern when most government agencies are not verified on major social media platforms — following a fake celebrity is not the same as following a fake emergency alert. This is why agencies have a responsibility to diversify their digital programs among engagement channels and provide multiple paths of entry to services. The advent of wearable of devices and the Internet of Things means we can increasingly by-pass bottlenecks altogether. According to Christopher Lagan, Chief of Social Media for the U.S. Coast Guard, when we focus on improving the quality of programs and content by the standards of public services then citizen engagement will naturally improve. While changes to the Facebook news feed, for example, can mean improvements in how companies use the tool, they serve as a reminder to government social media managers to kick the tires of their programs and ensure that their goals address the needs of the mission and not the perceptions of what advertisers think we should be. 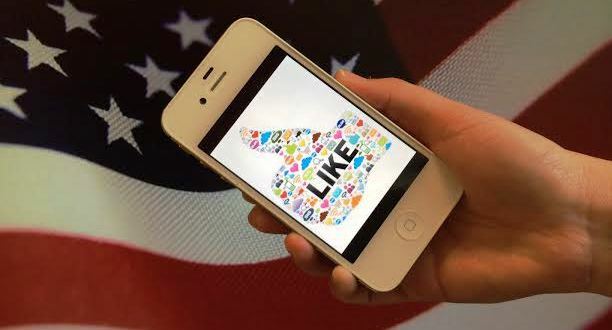 The next phase of the Social Media Performance Analysis Recommendations, based on the Digital Analytics Program authorized by the White House Digital Government Strategy. We need to do a better job communicating our unique needs and perspectives too — which is why we’re recruiting two Knowledge Managers through the Open Opportunities program to track, curate and report the trends, ideas and issues facing social media in government. We also look forward to more education programs with tools like Facebook, and challenge companies to use our Federal Social Media Registry to verify accounts and help ensure that citizens don’t have to guess what information is real. How do you think government agencies can best use social media? We look forward to hearing your ideas.